Battery Test Equipment Company. 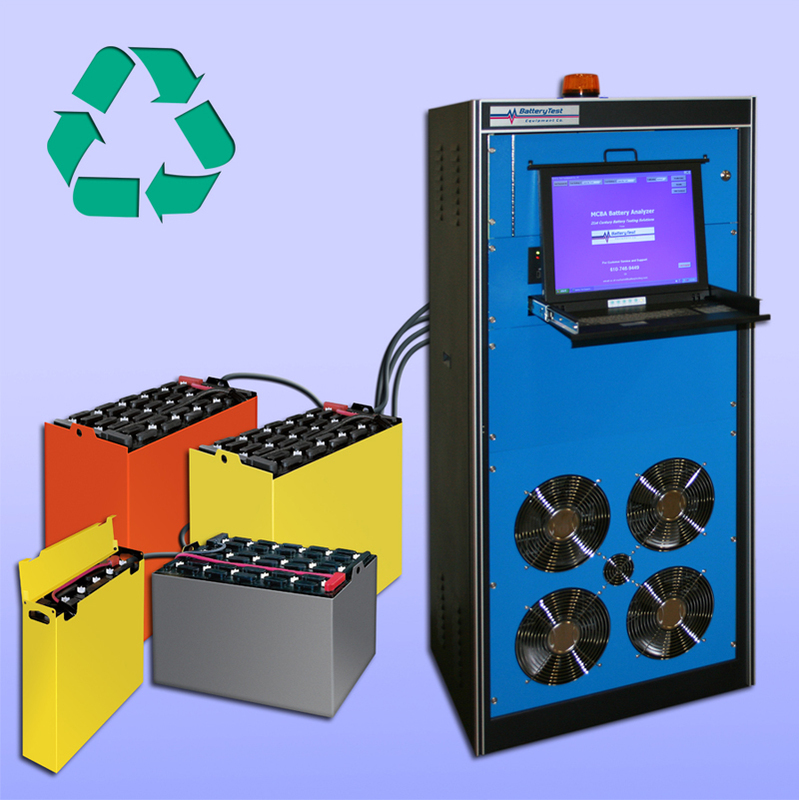 Computer Controlled Battery Testing, Monitoring and Analyzing Equipment. MCBA Battery Analyzers are designed to automatically test the actual capacity of industrial motive power batteries (flooded and maintenance-free). Test program parameters are presented in an easy to follow format and displayed on a color monitor. The system monitors and records each individual cell, total battery voltage, pilot cell temperatures and discharge current. All tests can be run unattended using internal constant-current discharging software. Test data can be downloaded to the onboard printer, CD, or through the network interface. All data is archived for trend analysis. Each system is shipped with Total Battery Management (TBM) software to provide ongoing top-end management overview reports of the entire battery inventory. The DM35 digital hydrometer is a versatile meter for obtaining the specific gravity levels of battery cells. Unit displays both gravity and temperature readings for each cell on the LCD display and is equipped with automatic temperature compensation as a standard feature. The unit can store all readings in memory and transmit the results to the Battery Test MCBA battery analyzer or to an external printer or PC via an infrared adapter. The specific gravity data is incorporated into the MCBA battery capacity result files. The hydrometer is provided with a handy carrying case, which includes accessories. Battery Warranties | Inventory Management and Record Keeping | Battery Construction | Battery "Life"
©2016 Battery Test Equipment Co., Ltd. All rights reserved.